Audrey Raj speaks to the director of Eames Risk Consulting Phil Eames about process safety challenges in Asia, including human errors, hazard identification, risk assessment and HAZOP techniques. Major accidents in both the upstream and downstream sectors have highlighted the significance of having process safety management in place, so as to maintain the license to operate. 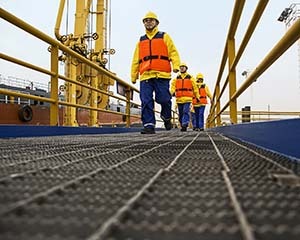 Process safety today in Asia is seen exactly as it is in most parts of the world as a major issue where performance is not improving and yet the challenges are increasing says Phil Eames, director of Eames Risk Consulting. In an interview with AOG, Eames talks about process safety trends and challenges in Asia, including the model for describing human failures, hazard identification and the role risk assessment plays in process safety management. An experienced HAZOP (Hazard and Operability) and LOPA (Layer of Protection Analysis) leader, Eames’ experience spans across safety, health and environmental management and major hazards operations. 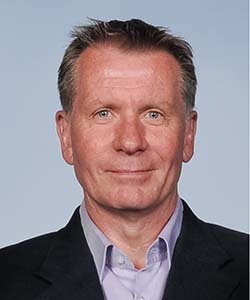 He is also a trainer in process safety management, accredited by the UK National Skills Academy for the Process Industries and the UK Institution of Chemical Engineers. How is process safety seen in Asia, including the latest views of industry experts and regulators? Dr. Sam Mannan, director of the Mary K. O’Connor Process Safety center at the Texas A&M University, addressed the Hazards XXV (25) Conference in the UK earlier this year saying, “Thirty-one years on from Bhopal, it is difficult to tell with any certainty whether the industry is safer or not”. Recent incidents leave us in no doubt that this applies as much in Asia as anywhere. In 2012, not long after the Fukishima Daiichi disaster in Japan, there were two major petrochemicals explosions in Thailand (Map Ta Phut and Bangkok). Both of which with estimated losses of US$140 million each that entered Marsh’s 100 Largest Losses list. News of other incidents in the region continue to emerge at a steady pace, with the latest being major explosions and fires in Tianjin, China. The increasing flow of Internet news is highlighting as many incidents in Asia as in North America or Europe. In an oil exploration and production context, there is acknowledgement that incidents similar to the 2010 Gulf of Mexico incident could happen anywhere in the world. Asia, in particular, the Bintulu, Malaysia explosion in 1997 and Mumbai High North field fire in 2005 are still within memory. The desire to address the challenge of process safety in Asia is leading to more international conferences sponsored in the region. A recent example is the 3rd Hazards Asia Pacific Conference in Kuala Lumpur in April this year. The Singapore government’s signal that UK-style major hazards regulations will be introduced in 2017 is a further sign of the perception that more has to be done. What are some of the process safety challenges in Asia, and what are the best mitigation techniques? The region has many challenges in common with Europe and North America, such as ageing assets, the pace of organizational change (fragmentation of companies and mergers and acquisitions), globalization and foreign ownership. In addition, the severe financial restraints imposed by the recent fall in oil price, with its risk of maintenance cut-backs, falling investment in risk reduction and the slowing of organizational development programs. More specific to the region is the access to current best practice, the transfer of research on organizational culture and high reliability of organizations from their sources in Europe and North America into many country-specific cultures of the region. What is the central role process risk assessment plays in process safety management? BASF engineers. Image from BASF. Process risk assessment is the fundamental core of process safety management and the reason is simple. Without a thorough understanding of its specific process risks, an organization cannot hope to put in place a management system that will address the required controls. If you don’t understand it, you will not be able to manage it. So, in an ideal world, a process safety management system should be built around, or based on, the specific risks of an organization or facility and the required controls. How is hazard identification and risk assessment integrated into process safety management system? Hazard identification and risk assessment, alongside process safety information should be the central elements of the system. They are the elements that determine the nature and character of other components of the system. For example, they determine what plant and equipment should be designated and managed as safety-critical, what procedures should be designated and managed as safety-critical, how pre-startup safety requirements should be determined, what emergency preparedness requirements should be and so on. It is also essential to recognize that because of their central role, they cannot be limited to the design phase of a facility. They must be continued throughout the lifetime of an asset, by means of revalidation, repeat studies and other forms of cyclical hazards review, recognizing that facilities change; plant and equipment ages, and expectations of regulators and the public are continuously rising. What are the latest examples of process safety management systems in Asia? There are well-established organizations in the region that have highly developed process safety management systems, developed internally and using worldwide best practices. Having said that, there is interest in recent developments in Europe, where there is significantly more activity in relation to the further development of process safety management systems than elsewhere, especially North America. The most significant of these is the UK Energy Institute’s Process Safety Framework, published in 2010 and still undergoing development. A number of organizations that have a significant presence in Asia have participated in its development and there is clear interest in spreading this more widely. The framework is a development of systems that have been used since the 1980s than a new insight. So the challenge is much more in the application of the process safety management system than in the design or content. What are the advanced practices for the successful application of the HAZOP technique and process safety performance indicators? The design of the HAZOP technique has not fundamentally changed in more than 50 years, so the challenge in more effective application. This has two parts. One is how to achieve a high quality of study, including the independence and competence of the facilitator, the quality of process safety information and the quality of the management of the study. The other is in the increasing application of HAZOP to procedures, in particular procedure for startup and other abnormal modes of operation, which of course are the most hazardous modes of operation and when most incidents occur. Process safety performance indicators are probably the most active aspect of the development of process safety management practices today, seeking to identify indicators that can warn of worse to come and at the same time providing an indication of the health of the process safety management system. The American Petroleum Institute’s guidelines (API RP 754) are the easiest to understand and likely to enable successful progress. Organizations are learning that performance indicators need to be developed internally and not copied from what is claimed to be best practice, to ensure they are fully relevant to the organization. All organizations should be vigilant with respect to aspects, such as non-operational or overridden safety systems, the adequacy of safety system proof testing and compliance with testing regimes, equipment operating outside of design limits and equipment operating with temporary repairs. These are the types of indicators that should keep management awake at night. Can you tell us more about the model for describing human failure and how this can be used to investigate incidents and reduce human error? Models for human failure in a process safety context were developed in the 1990s and are now widely recognized, although not necessarily well exploited. The models divide human failures into slips and lapses (unconscious actions or inactions), mistakes and violations, which provide us with a way to explore why people do the things they do. In an incident investigation context this is critical in enabling us to get beyond “the incident was caused by human error” to understanding exactly why the actors in an incident behaved in the way they did. Only with this understanding we can identify corrective actions that will be effective. The essence of this is to see human error as a consequence and not as a root cause, because no effective action can be taken for a cause that is simply explained as human error. Is process safety a CEO Issue? Why? Absolutely. Process safety incidents can and do destroy companies’ reputation and economics, plus kill employees and members of the public. To control these risks a process safety management system is required, but it cannot be applied effectively unless it exists in a strong organizational culture, meaning a culture where operational discipline is highly valued. It is well known that CEO’s determine the culture of an organization and therefore their attention to and value for the process safety management system is fundamental.